Orchard fresh fruits and classic creamy chocolates? Count me in! 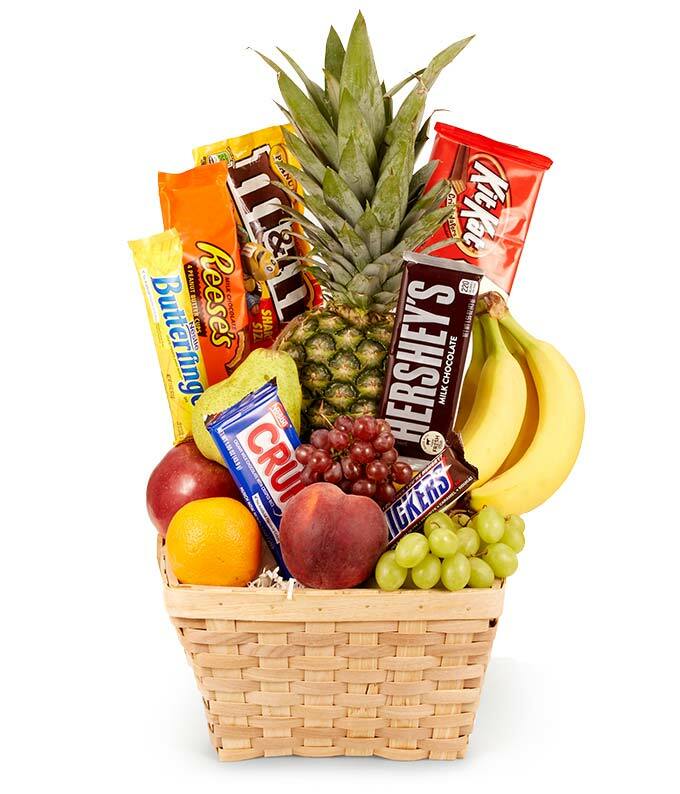 By sending the Fresh Fruit and Chocolate Candy Gift Basket, you are sending a guaranteed smile to your special recipient. This gift basket makes a great gift year round for any and all occasions. Send today! Please note: fruit and chocolate contents may vary.